Trigone Blanc du Domaine Le Soula is mineral but yet generous with lemon, pear and almond aromas. Domaine Le Soula Trigone has a pale color, very intense and sharp with lighly salty and oaky finish. Le Domaine Le Soula Trigone Blanc best served betwen 10 et 12°c. Perfect apéritif, and with south western frenchfood. Domaine Soula, situated on the foothills of Pyrenees of Roussillon, produces wine of height in the region of Fenouillèdes. 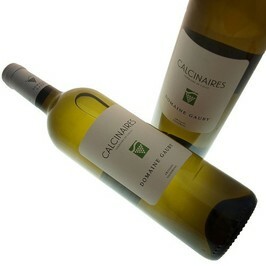 It is Gérard Gauby who knew how to reveal the soil of Fenouillèdes and develop a great wine. The vintage year 2001 created the reputation of Soula which had been born. Afterward in 2008, Gérald Standley takes back the domain and works daily on the excellence of our wine. The vineyard of the Domain Le Soula extends over 22 ha among which 10 ha are crashed in white and 12 ha in red. 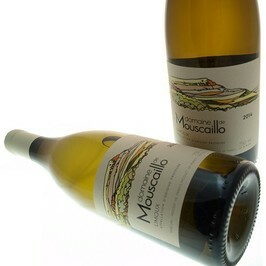 Wines Le Soula mix sharpness and elegance with a big complexity. The vintage Trigone is their simple local wine but with a big drinkability. It is an assembly of vintage wines.